Just follow directions on the playsheet to make a 3-D man. Now coil up a lasso with 3 loops and attach to cowboy's hand. 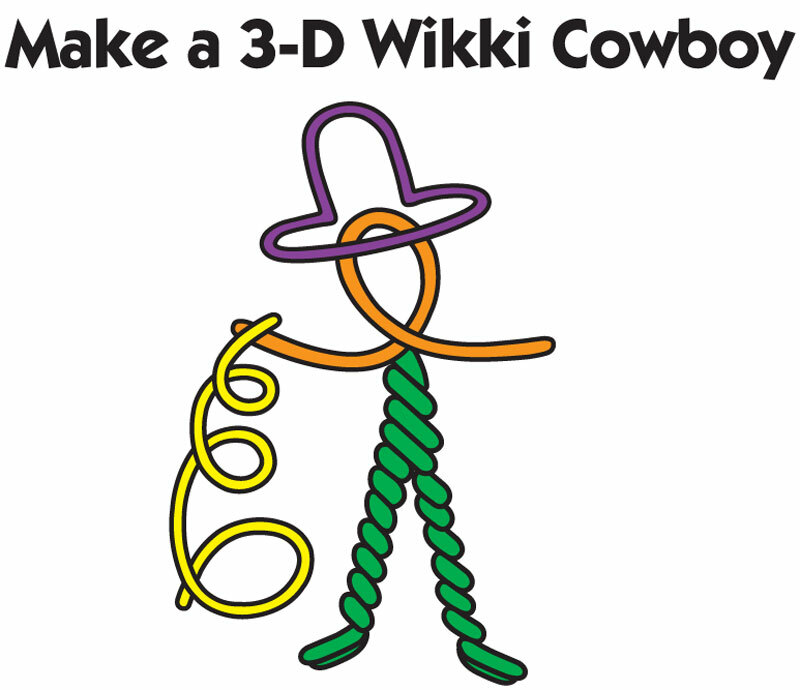 Bend another Wikki and shape into a hat for your cowboy.